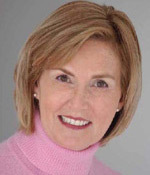 SUSAN WEST KURZ is a passionate advocate of Dr. Hauschka's philosophy and practices. She began her career as an apprentice to a master herb grower before becoming a sales representative for Dr. Hauschka's products in the 1970s. She went on to become a licensed aesthetician and the president of Dr. Hauschka Skin Care, Inc., in 1993. She lives in Amherst, Massachusetts, with her husband and two young children.